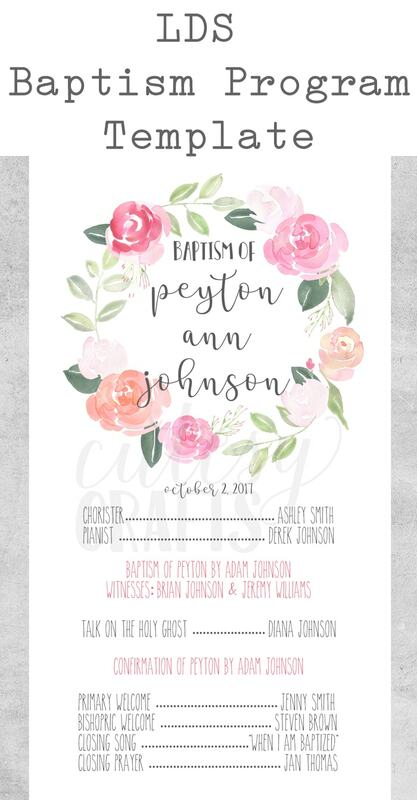 Here’s a nice wedding or Christmas gift that isn’t too difficult or expensive. Made it with my Silhouette Cameo. Don’t worry, I will be doing things that don’t require the Silhouette soon. Just needed to use my new toy for gifts! 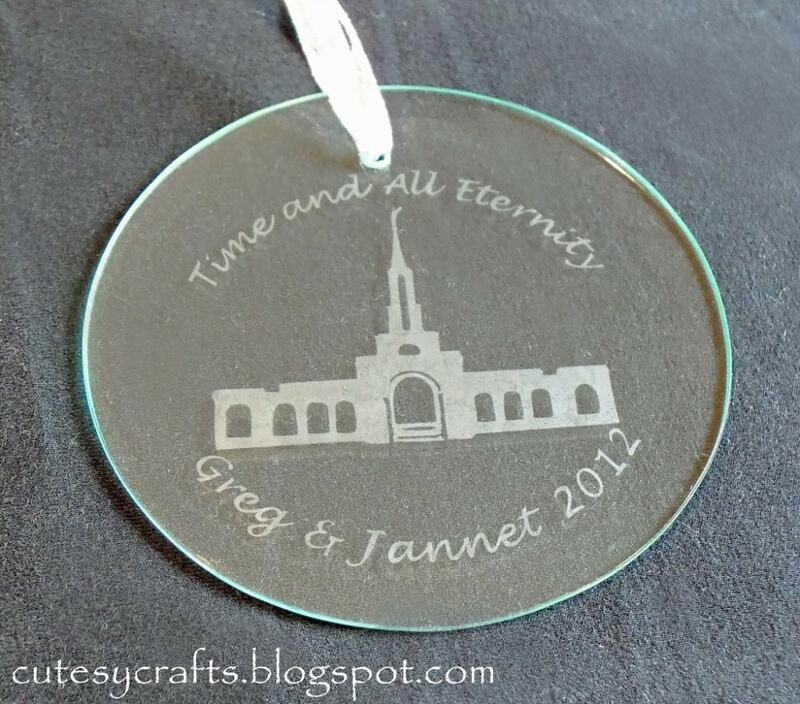 😉 It’s a beveled glass ornament etched with the Sacramento Mormon Temple, names, and the year the couple got married. You could do the same thing with any temple, church or building. You could even find some other kind of graphic or just use text. Start out with a photograph of the image that you want to use. 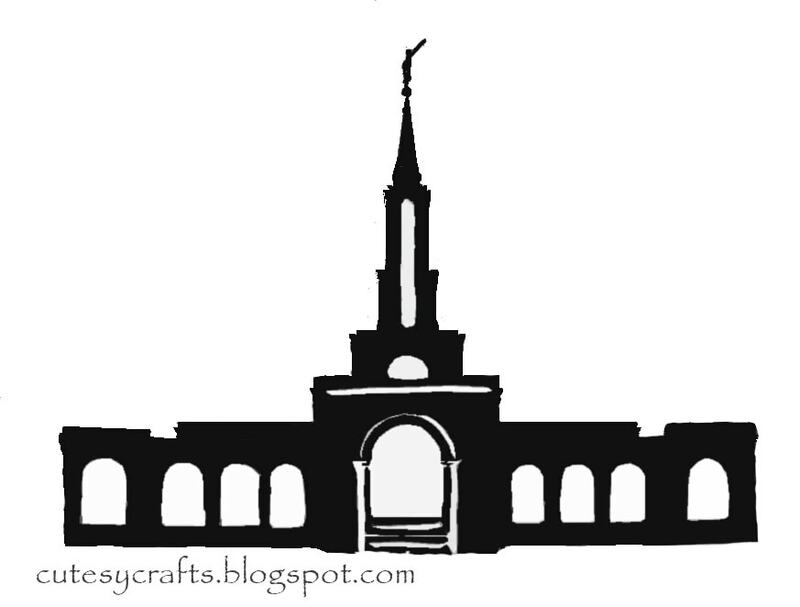 I found a lovely image of the Sacramento Temple on ldschurchtemples.com. 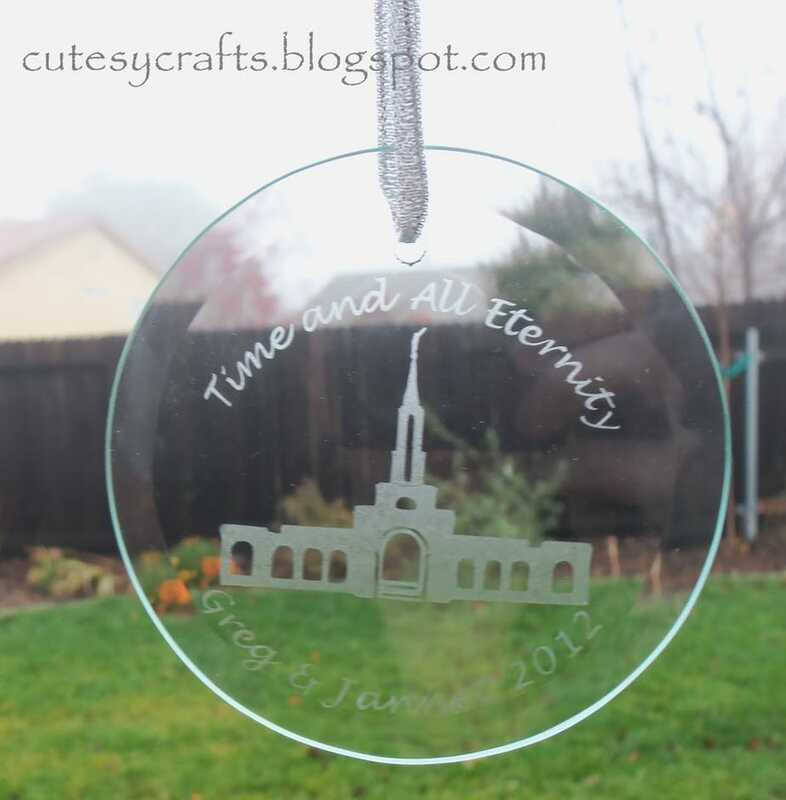 I won’t post it on here since I do not own the photo, but the website has tons of photos of every LDS temple. I brought the photo into Photoshop Elements and played around with the high pass filters and threshold until I had a nice, high contrast, black and white image. I inverted the colors so that the main image of the temple would be black. 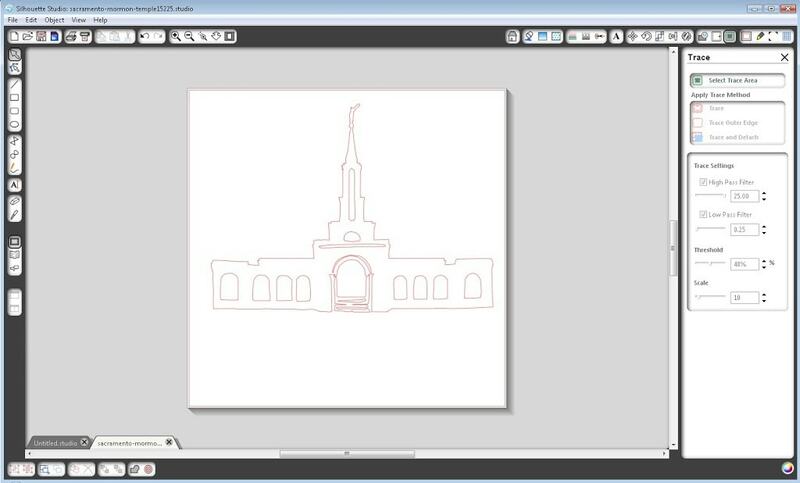 I used the black brush tool (a lot) to fill in a lot of the details since the stencil was going to be so small. It’s going to be SMALL, so don’t worry about perfection. Then I used the cutout filter to simplify the image even further. I ended up with the image below. There are some nice youtube videos that can show you how to do this better than I can. Now you want to open up your image in Silhouette Studio. Use the trace feature with the “high pass” on the greatest setting and the “low pass” on the lowest setting. 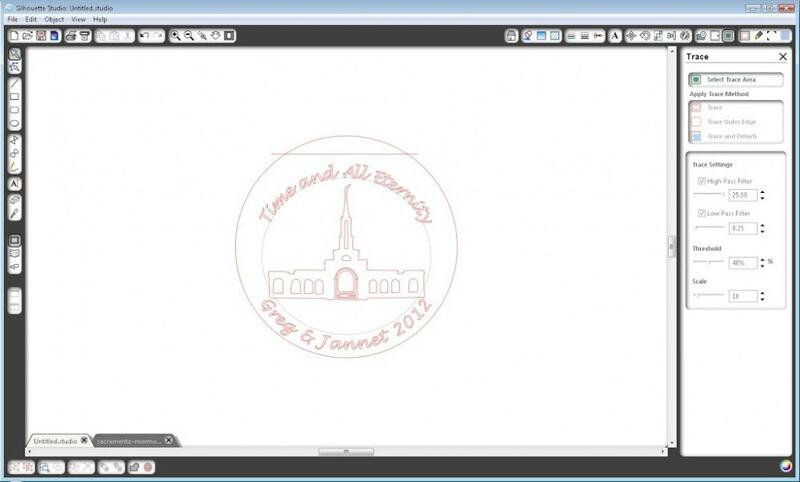 Push trace and delete your image. You should be left with this. 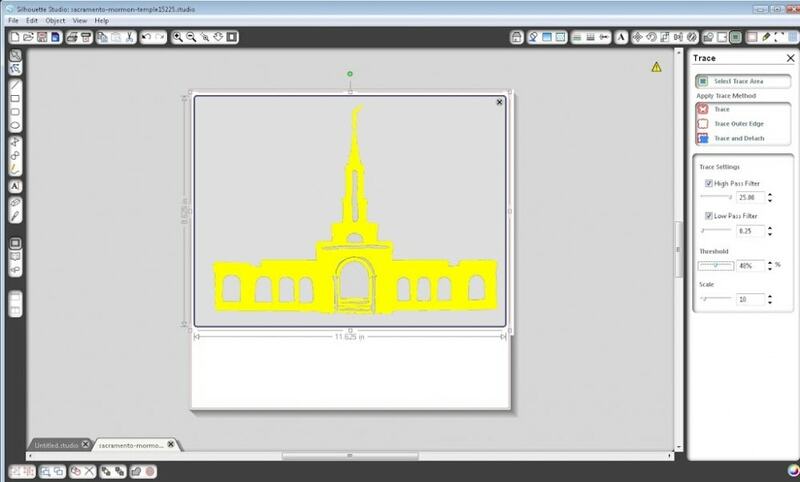 Clean up your outline by deleting and adjusting some of the points and make it the right size for your ornament. Add some text (make sure to fuse it together if it’s a cursive font) and you are ready to cut your vinyl. This is how it should look all cut out, transferred, and ready for the etching cream. 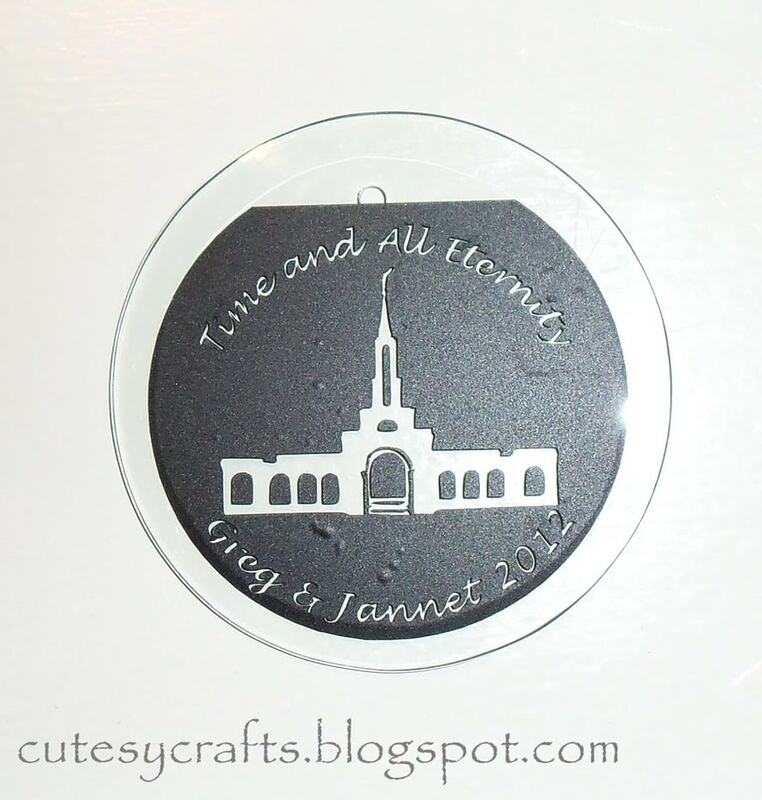 I bought my ornament from etchworld.com here and used the same Armour Etch cream that I used to make the mugs that I did before. 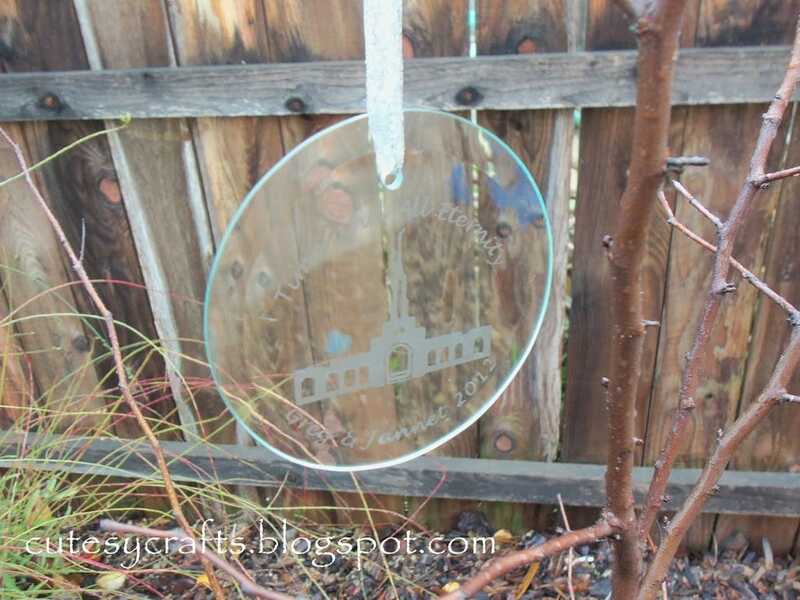 Where did you find the glass ornament? Thanks, Diana! I considered it. Only problem would be custom designing all of the buildings. Maybe some day.